In response to my blogs on gardener’s gifts I was asked about suggestions for gifts for inside the home that gardeners would love. 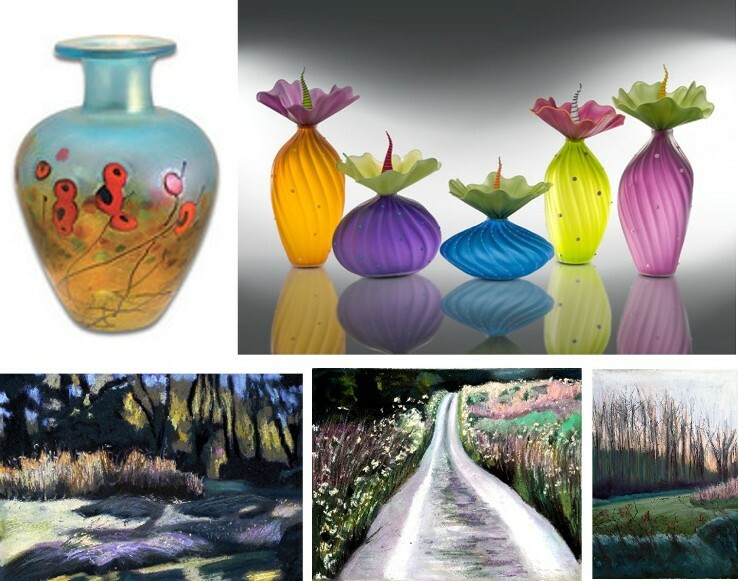 Some of my favorite garden/ “natural world” inspired things are works by artists Robert Held www.robertheld.com Check out his California poppy series—one of these vases adds amazing energy to a lit cabinet in our kitchen. 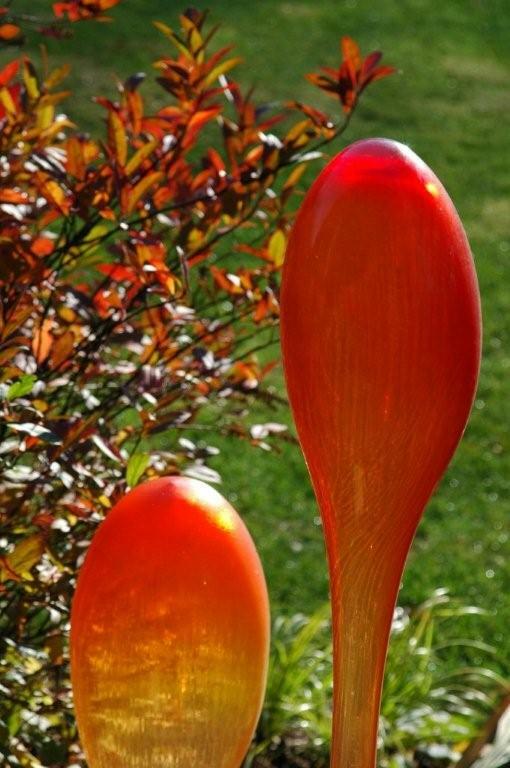 On my wish list this Christmas is a BOBtanical by Bob and Laurie Kliss—these “drop-dead” gorgeous and quirky glass pieces are a must for every garden-lover www.klissglass.com . I’ve been admiring them for several years. Also something I eventually want for our home is one of the autumn or winter nature paintings by Laura R. Joseph www.ljosephart.com . 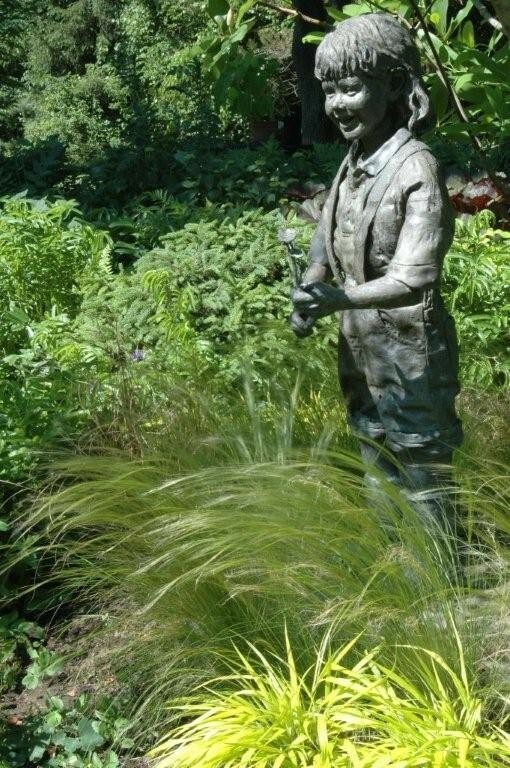 Her work is full of emotion and passion for nature—something shared by gardeners. Holiday gifts for the gardener you dig! Books: I hope you will consider a gift certificate for my upcoming new book: 50 High-Impact, Low-Care Garden Plants, Tough But Beautiful Plants That Anyone Can Grow. (January release) If they don’t already have Well-Tended Perennial Garden & Well-Designed Mixed Garden perhaps they deserve all three! Other titles I love are Plant Driven Design: Ogden/Springer-Ogden, Restoring American Gardens: Denise Adams, and Grasses for Livable Landscapes: Rick Darke. Thanks to popular blog “Lilacs and Roses” for recommending one of my books as a favorite gift. Read it here. Clothing: Look for fun and colorful garden/rain boots at most shoe stores. Beauty Aids: My favorite for years now is Gardeners Hand Therapy Cream, by Crabtree & Evelyn. 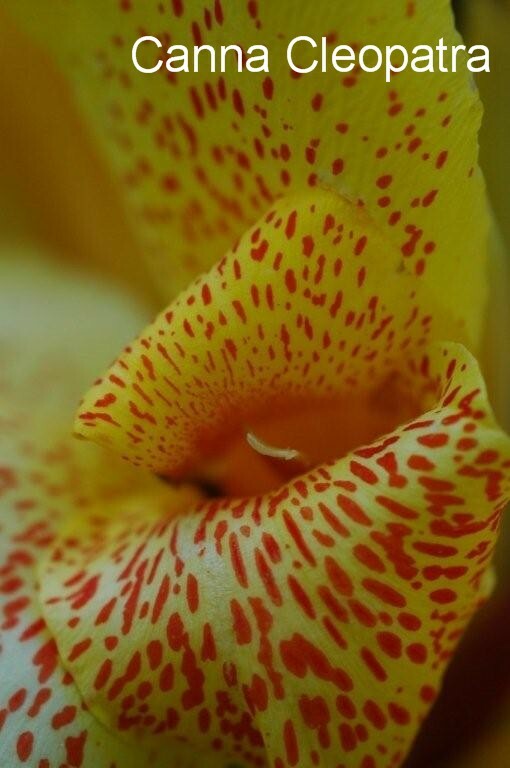 Professional Memberships: Consider giving the gift of membership into groups such as The Perennial Plant Association www.perennialplant.org ,The American Horticultural Society www.ahs.org , or The Royal Horticultural Society in the UK www.rhs.org.uk Informative magazines accompany membership! Thanks, Smith & Hawken! 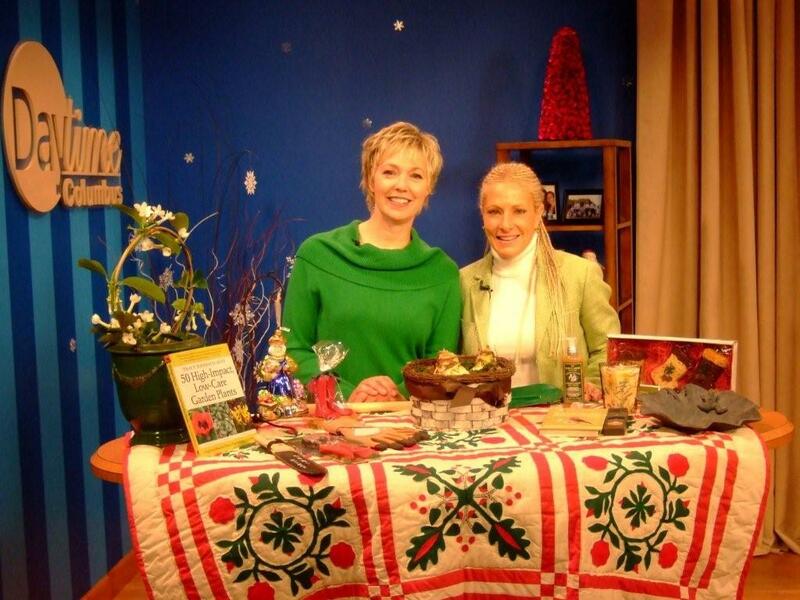 Thanks to all the wonderful staff at Smith & Hawken, Easton Town Center, Columbus Ohio who loaned me the beautiful and functional gifts for my “Gifts for the Gardener You Dig” segment on NBC 41’s Daytime Columbus with Gail Hogan. I hope lots of gardeners are lucky enough to find one or two of these great gifts under the tree Christmas morning. September is an ideal month to plant because the temperatures are usually starting to lower and the rains are starting to return. Also planting or dividing now gives plants time to establish before winter sets in. There are a few plants to note that don’t do well when planted in the autumn including coralbell (Heuchera sp. ), Japanese anemone (Anemone xhybrida) and red-hot poker (Kniphofia hybrids ). 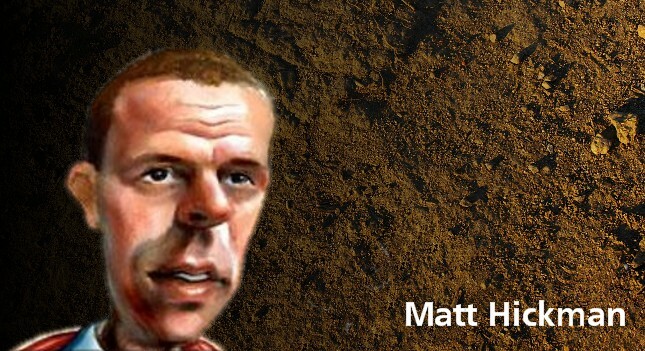 These plants have a tendency to frost heave (push out of the ground) due to fluctuating winter temperatures. They are more successful with spring plantings. Division no w is particularly suitable to spring and summer flowering perennials. You know a perennial needs division if there is a reduction in the flowering or the vigor of the plant, a hole develops in the center, or there is a “traffic jam” appearance to the stems. One of my favorite quick and easy methods of division, that I learned over 25 years ago (yikes!) while working at the Kalmthout Arboretum in Belgium, is the double-fork method. This is great for large thick clumps of plants, such as Shasta daisy (Leucanthemum xsuperbum), hosta, daylily (Hemerocallis) and border phlox (Phlox paniculata). 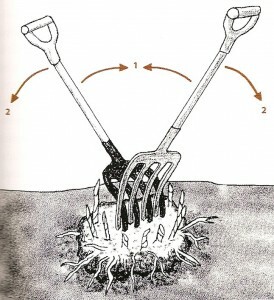 To divide clumps using this method, first lift the entire clump from the ground with a spade. 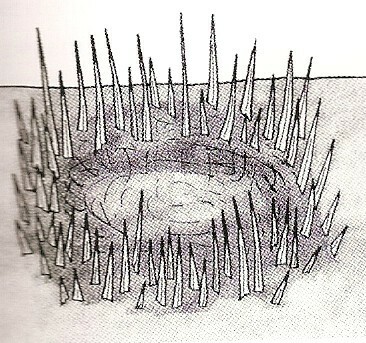 Then insert on spading fork into the center of the clump, and insert a second fork parallel to the first, setting the forks back-to-back with the tines of the two forks intersecting. 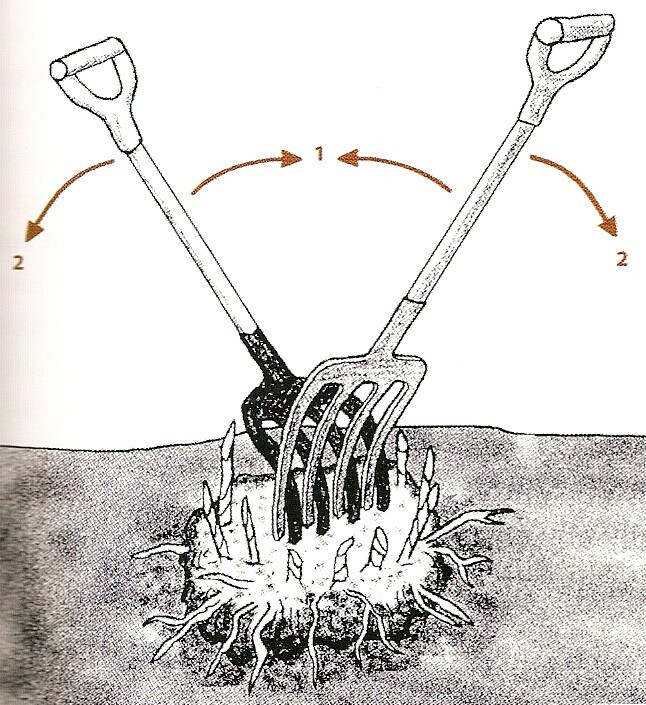 Pull the forks inward and then out-ward, and the clumps will separate in two. You might have to repeat this process several times with a large clump. Once the large clump is broken up, a sharp nonserrated knife can be used for further divisions to obtain smaller pieces. Perennials such as peonies, which are fleshy rooted, do not divide well with the double-fork method and are best divided using a knife. I cover division and planting in detail in my book The Well-Tended Perennial Garden and you may have heard us discuss this topic on Martha Stewart Living Radio on Sirius Satellite for the Living Today show with Mario Bosquez on Monday September 8, 2008. You may have tuned into the new show Daytime Columbus on WCMH-TV, Channel 4 Columbus, NBC4I.com, with Host Gail M. Hogan on September 23, 2008 where we demonstrated the double-fork technique and discussed follow-up considerations with soil and watering. If so, welcome to the website! I’m often asked “how do I keep my garden looking good in the hot humid days of summer?” Really the first step, as is oft en the case, goes back to good design and planning ahead. Remember when you are designing your beds to plan for summer color. We often think about what the garden will look like in the spring but we may forget that we also want outstanding flowers and foliage during the long hot days of summer. And I’m not talking color from “ho-hum” annuals like marigolds and petunias but striking outstanding intense hot color from perennials and unusual annuals (yes.. I’m a plant snob!). Remember to use intense, highly saturated hot colors such as reds, oranges and yellows which will stand up to the hot sun and continue to shine through. Pastels or tints of colors look washed out in bright full sun and are best reserved to spring days unless you live in an eternally overcast climate. Some striking hot colored perennial flowers in the garden this time of year include, summer sun heliopsis (Heliopsis helianthoides var. 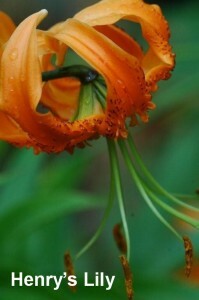 scabra ‘Sommersonne’), Lucifer crocosmia (Crocosmia ‘Lucifer’), and Henry’s Lily (Lilium henryi). One of my favorite hot colored annuals is the bicolor flowered– Canna ‘Cleopatra’. Wow this canna will have you drooling!!! Ok so we’ve thought about design and brought in the right colors for summer now we need to maintain the garden this time of year. Some plants are starting to look a bit tatty—or worse for wear. 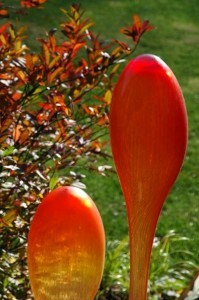 Simply removing brown, yellow, or scorched leaves from such plants can give the entire garden a fresh look. This “deadleafing” has remarkable effects. Remember in some cases deadleafing may not be enough and the entire plant may need to be cut down. It’s the end of July and I’ve been shearing spiderwort (Tradescantia x andersoniana) down to the ground. All the brown and yellow leaves are on my last nerve every year at this time and rather than snip here or there—I like to just be done with it and allow fresh foliage to emerge later in the season. Although this time of year is not normally the best for division certain perennials like bearded iris, poppies (Papaver orientale) and peonies prefer division now. 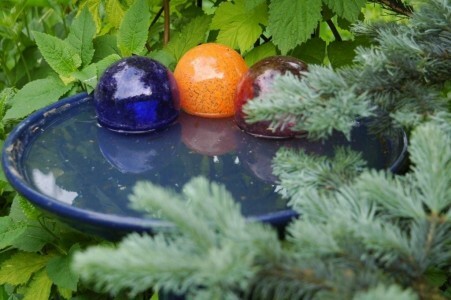 Let me know how your garden is fairing this time of year…and how are you coping? Take care and embrace these hot days and hot colors because before we know it the frost will hit and we’ll be finished with another season.